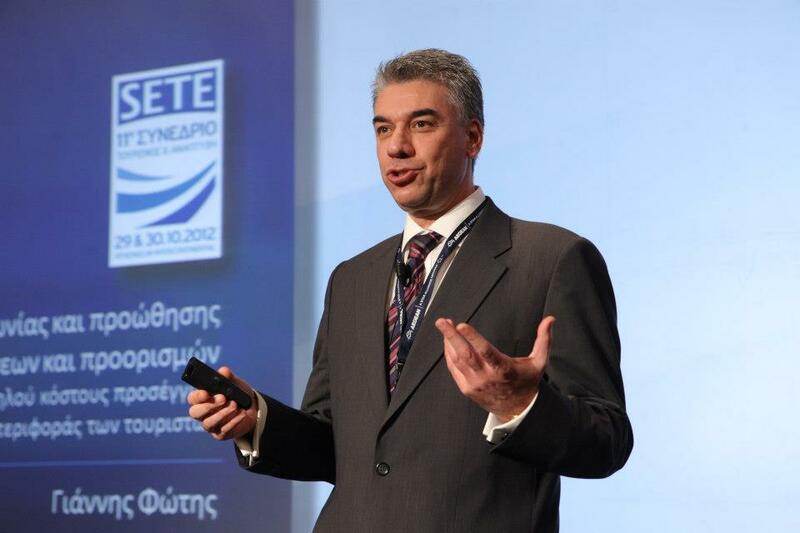 Very honored to deliver a keynote presentation in Athens, and be among a number of distinguished speakers, during the 11th annual “Tourism & Development” conference organized by the Association of Greek Tourism Enterprises (SETE) after an invitation by its Director General Mr George Drakopoulos. My keynote is entitled “Communication and promotional strategies for tourism enterprises and destinations: A low cost approach and ways of influencing travel related consumer behaviour”. The presentation will describe the role of social media in tourists’ “expanded trip”, their impacts on consumer behavior, and will suggest tactics and actions that destinations and tourism companies can incorporate into their marketing and communication strategies. This year conference is entitled: “Marketing Greece – promoting the quality side of modern Greece”. It will take place on 29-30 October at Athenaeum Intercontinental, and among the other keynote speakers are: Mr Antonio Tajani, Vice-President of the European Commission responsible for Industry and Entrepreneurship; Mrs Maria Damanaki, European Commissioner of Maritime Affairs and Fisheries; Mrs Olga Kefalogianni, Minister of Tourism; Dr Andreas Andreadis, SETE President; and Mr George Drakopoulos, SETE Director General and President of the Affiliate Members Board of UNWTO. Before my keynote, there will be a round table discussion session on “Marketing Greece: Cooperation between public and private sector in promoting Greek tourism”. The discussion panel will consist of Mr K. Karahalios, Secretary General of the Greek National Tourism Organization; Mr K. Lambrinopoulos, President of the Hellenic Management Association; Mr D. Mavros, President of the Association of Greek Advertising & Communication Companies; Mr G. Tsakiris, President of the Hellenic Chamber of Hotels; Mr G. Tsopelas, Managing Director of McKinsey & Company (Greece); and Mr A. Andreadis, President of the Association of Greek Tourism Enterprises. For more information you may visit SETE’s conference page (in Greek).